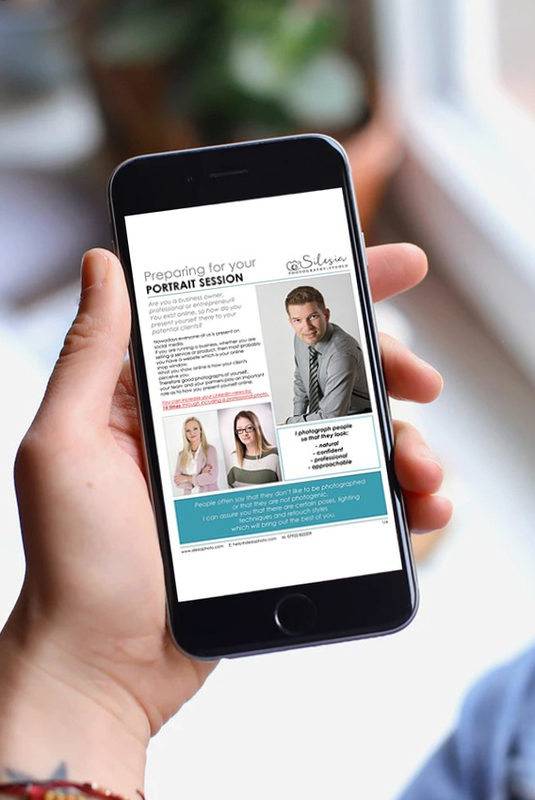 As an experienced portrait photographer, I know how important it is to represent yourself, your business and your brand online in the right way. Therefore we offer Portrait and Product photography services which are gaining popularity due to the importance of positive online presence in business. Find out more about Product photography here. 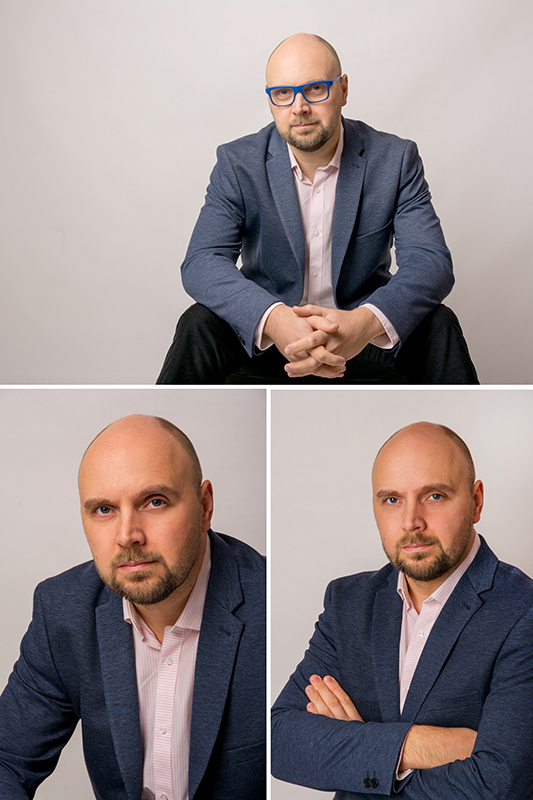 Whether you require casual or corporate headshots, my studio is the perfect setting to bring out your best self. 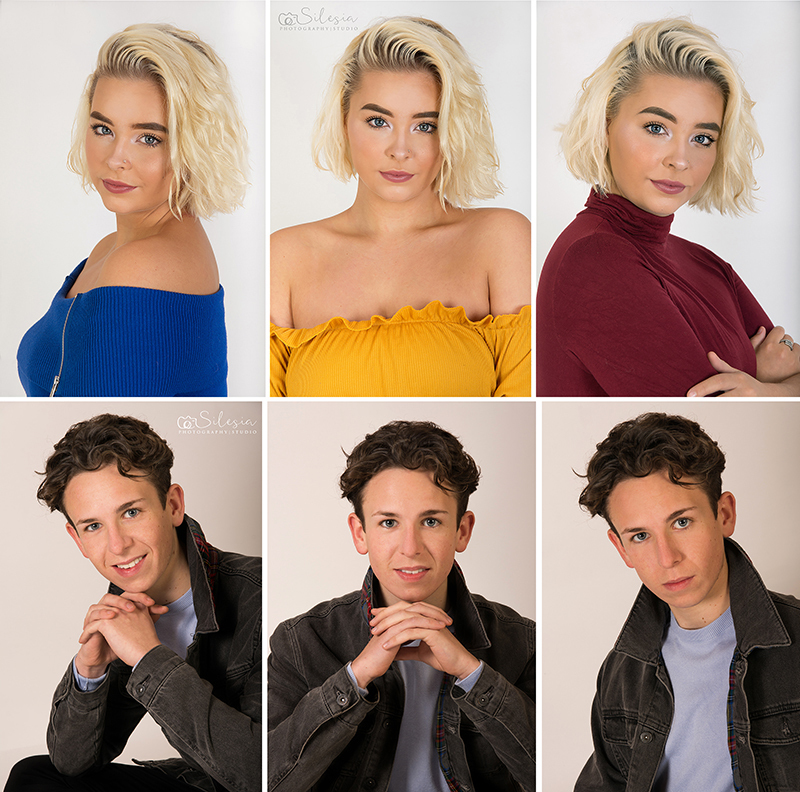 Portrait sessions in my studio in my photography studio in Poole can last up to 2 hours with the flexibility of unlimited clothing changes during the session and the option of either a dark, white or bare wood background. After the session, you will have access to all the photographs to choose your favourites to be retouched and delivered to you as digital files within 2 days. You will then be ready to update your social media, website and other online or printed materials to use as you wish. Why choose Silesia Photography Studio? *Price is dependent on the desired number of final photos, see guide prices here. 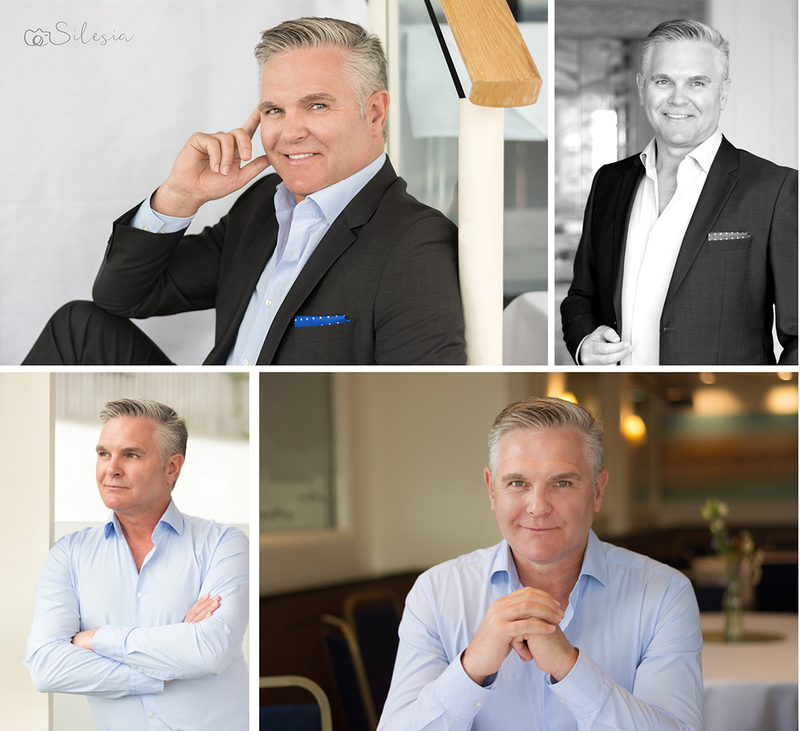 My Poole Studio is perfect for individual corporate headshots, or if you have a team of employees and would like me to photograph you at your workplace or your premises to maintain the same look, we can do that as we have a portable lighting and background system. 1) Wear natural colours – avoid strong colours and big patterns which would ‘steal’ the attention from your persona. 2) Bring different clothes to change into – best to try them on at home first and iron them the night before. Consider bringing the clothes on a hanger and in a cover. This way the clothes will be in perfect condition when you arrive. You can easily and comfortably get changed in my studio behind a room divider. 3) Make sure your complexion is fresh and matte (not shiny). This is very important to avoid light reflections on your skin. 4) Bring make up, a hair brush/comb and face powder to touch up in the studio. There is a large mirror so you can check yourself over as needed. 5) Most importantly, be positive and confident. How you feel can be seen in your body language and facial expressions. Mona was looking for a portrait photographer as she needed professional headshots to update her business website and social media channels. After the session, Mona received a dozen professionally retouched portraits for her personal branding. I have a wealth of experience of photographing models, actors and singers. This includes individuals who are applying for drama schools, music schools or dance schools where portraits are required for the application process. During each session, I take many photographs in different lighting, various poses and facial expressions. At the end of the session, we look at them on the computer screen to select the best ones for retouching. How photo portraits and headshots look like. This guide is optimised for mobile devices and totally FREE! Please complete the form below and I will contact you within 24 hours to confirm your place.